Tuntum provides affordable entry into home ownership, primarily for first time buyers. Many first-time buyers may be reluctant or unable to commit themselves to purchasing a home, despite low interest rates and competitive property prices. Lack of job security is a major concern and the high deposits demanded by many lenders often put home ownership out of many people’s reach. The option to purchase a house under a Shared Ownership scheme provides the ideal solution as it removes the need for the commitment to a maximum mortgage. At Tuntum, we have been providing good quality homes for sale through shared ownership since the early 90s, and have helped many residents achieve the dream of owning their own home. We have a number of new properties being built as a result of our healthy development programme in close liaison with many local authorities. 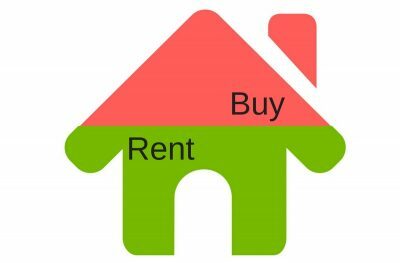 In simple terms, Shared Ownership allows you to buy part of your house, and rent the rest. The initial share (usually 25%) is purchased by means of a mortgage from a building society in the normal way. The remaining share is paid for by rent to Tuntum, which will be up to 3% of Tuntum’s share of the property’s value. For example, you could buy a 40% share of a £150,000 property for £60,000. We would then charge rent on the £90,000 share that we own. The rent would be a maximum of £2,700 over the year, or up to £225 a month. You can remain a shared owner for as long as you like. Alternatively, at any point, shared owners can buy further shares of at least an extra 10% until full ownership is achieved. This is known as ‘Staircasing’. So, using the example above, you could buy an extra 10% of your property for £15,000. You would now own 50% of the house. You would pay rent on the remaining 50%, which would be £2,250 over the year, or up to £210 a month. You do not have to share your home with anybody.